So there is a run on the Loana when it has more water. I am not sure if you hike up the trail or drive to the top. I believe it is short though which leads me to believe you use the trail we parked at for the entire run. 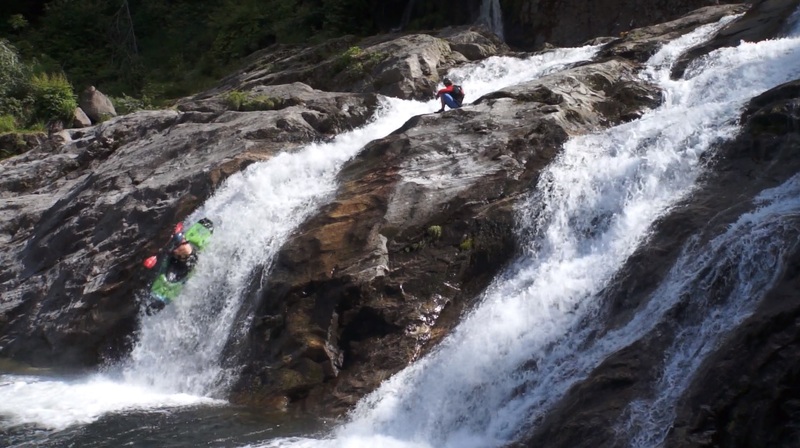 The run has several slides, one waterfall, one big crack drop, and the final slide into the pool at the bottom. 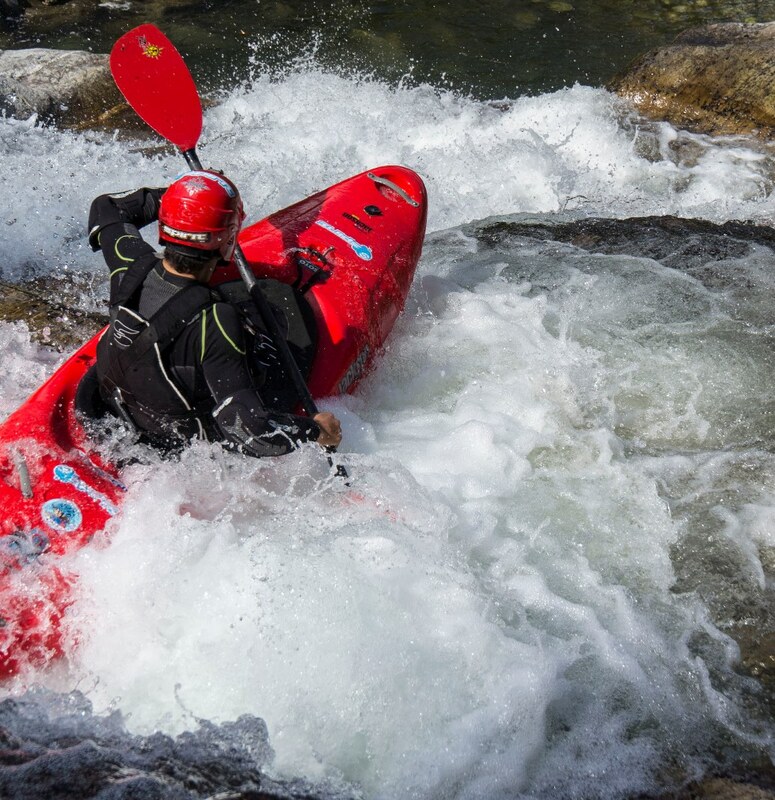 We found low water and only the bottom drop looking any good. So 3 of us suited back up with minimal gear and ran the final drop. It was fun for sure. With proper water and if you run all of the drops, it would get big in a hurry. 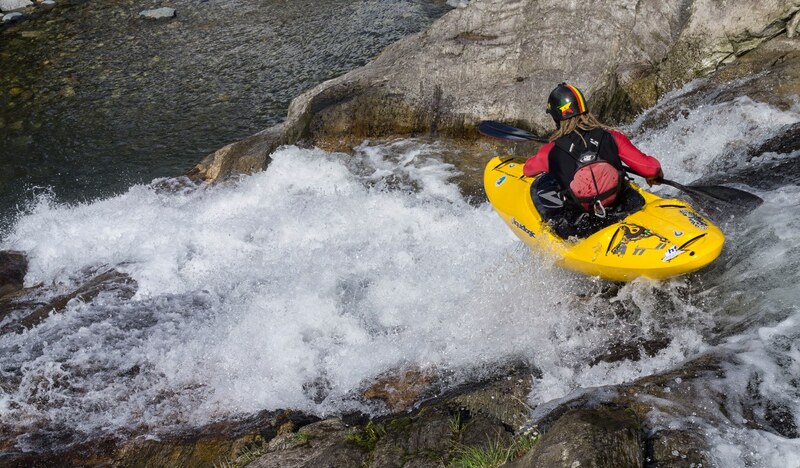 Also, although this run is in Italy… it is for all intents and purposes part of the Ticino whitewater region. So plan accordingly. Parking: As you drive up the Melzza you get to Malesco. You cross from river left to river right and then follow the road 90 degrees to the right. You cross the Loana here, just past the creek turn left and continue 100 yards to the end of the road. This is the bottom of the trail.